I was thrilled to have lunch recently with one of my favorite bloggers, The Blue Remembered Hills, while he was traveling through DC. As so often happens when bloggers meet for the first time we began chatting at once like old friends and eventually the topic naturally veered towards design. Both of us have 'pet peeves' with wordage, his being the incorrect use of the word couch instead of sofa (mine is the incorrect use of home vs. house). Above you see the famous couch of Madame Recamier. The term sofa is what we normally are talking about, the article of furniture found in everyone's living room. It's not a 'formal' term or interchangeable with couch -they are DIFFERENT things. A couch is a specific term reserved for pieces of furniture on which one lies. I immediately thought of Madame Recamier, so well known for having been painted in repose by numerous artists. 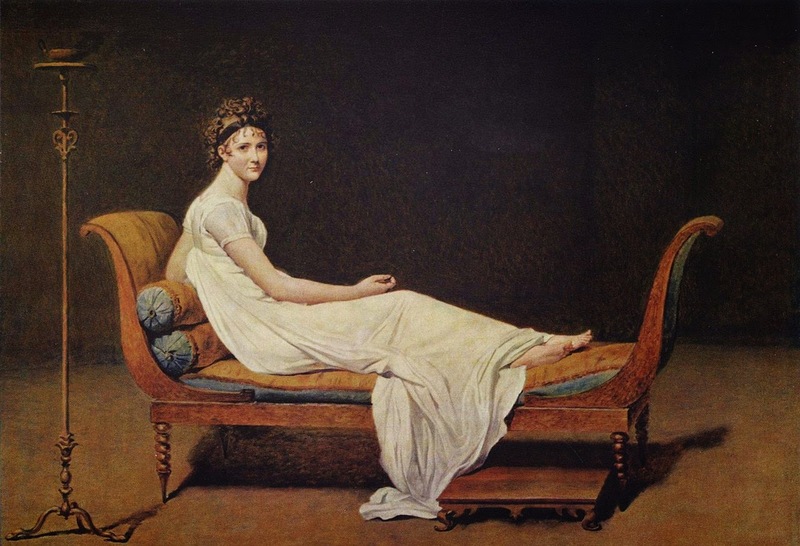 While in the Louvre on my last visit I loved Madame Recamier's furniture made for her by Georges Jacob as well as 2 very well known paintings of her, in which she is lying on a couch. The rest of her furniture is really beautiful and I just had to have an excuse to post! 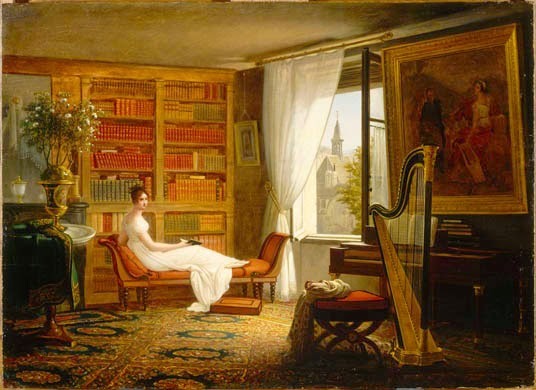 In the future think of Madame Recamier on her couch and the sofa you have at home; unless you have a fainting couch or daybed, well then that's another story!